Saturday November 24th… Dear Diary. The main purpose of this ongoing post will be to track United States extreme or record temperatures related to climate change. Any reports I see of ETs will be listed below the main topic of the day. I’ll refer to extreme or record temperatures as ETs (not extraterrestrials)😊. The innovation in Energy Vault’s plant is not the hardware. Cranes and motors have been around for decades, and companies like ABB and Siemens have optimized them for maximum efficiency. 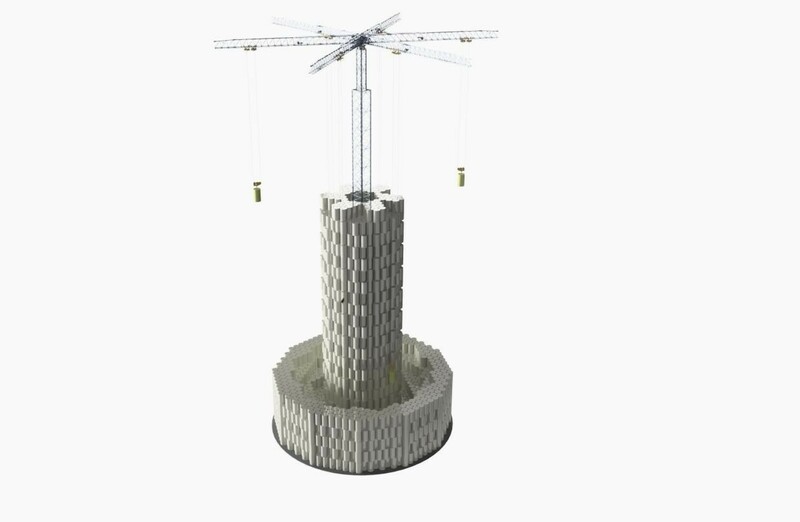 The round-trip efficiency of the system, which is the amount of energy recovered for every unit of energy used to lift the blocks, is about 85%—comparable to lithium-ion batteries which offer up to 90%. Pedretti’s main work as the chief technology officer has been figuring out how to design software to automate contextually relevant operations, like hooking and unhooking concrete blocks, and to counteract pendulum-like movements during the lifting and lowering of those blocks. Please pass on any other innovative methods for electric power grids, the subject of this post. On a down note I do know that the making of concrete is rather intensive with a high carbon footprint. Concrete, though lasts a very long time, well in excess of the cited 20 year lifetime of lithium ion batteries. Sometimes nature can give us low tech solutions that are better than any so called “high tech” answers to problems. Perhaps the concrete crane will be one.